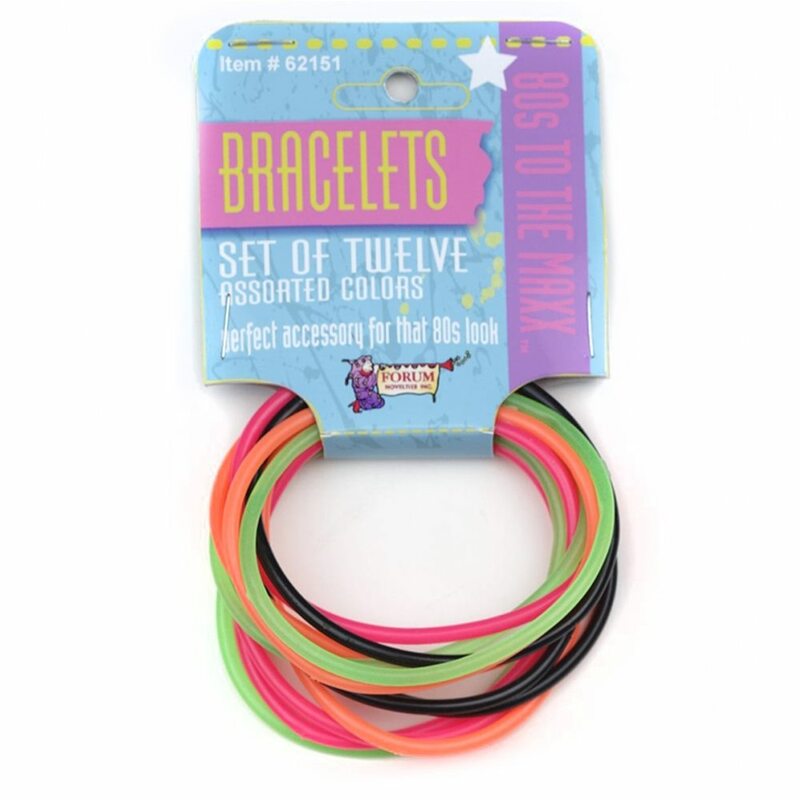 A must have 80's accessory, this 80s Bracelet Set is the perfect gift! Buy several packs and wear on both arms. Each pack includes 12 bracelets.